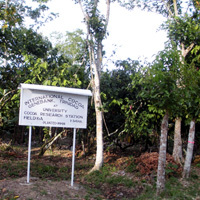 A PhD research project to collate farmer knowledge and agronomic/physiological data on various native Ghanaian tree species and assess their potential as shade trees for cocoa. The revision of BCCCA’s booklet ‘Cocoa Beans: Chocolate Manufacturers’ Quality Requirements’ was undertaken by Dr. John Clapperton, a well known expert in cocoa flavour and other aspects of cocoa quality, in consultation with industry experts. The resulting Fourth Edition of the book was published in October 1996 and has continued to be a well regarded source of information on aspects of quality management including Good Agricultural Practice and Good Manufacturing Practice, incorporating new knowledge and understanding of factors affecting flavour, food hygiene and IPM. Review of potential research needs for the cocoa pod borer, Conopomorpha cramerella. BCCCA commissioned a review of potential research needs for the cocoa pod borer. The objectives were to 1. )outline previous research carried out on CPB in Southeast Asia 2.) to describe current and further research on CPB and 3.) to describe measures which have been, and are being, taken to contain the CPB problem or to live with it. The BCCCA Flavour project sought to gain a better understanding of the factors influencing cocoa flavour, and particularly the production of undesirable off-flavours, and exploring ways in which these may be minimised or avoided. During the project protocols were established for post-harvest processing, including small-scale fermentation techniques which could enable samples as small as 0.75kg beans to be fermented in a heap of mixed beans with highly satisfactory results. Protocols were also developed for tasting of standard liquor samples by trained panelists allowing flavour to be evaluated on a reproduceable basis. The research found a very clear flavour difference between families of genotypes and demonstrated that flavour was influenced strongly by the mother tree, irrespective of the pollen donor, and that flavour characteristics are heritable. Host-pathogen interactions in witches's broom disease of cocoa.